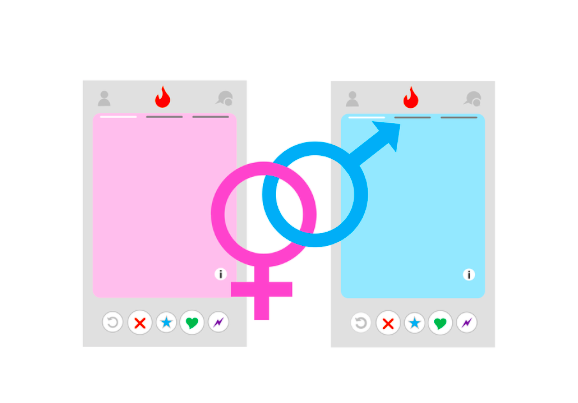 Online dating websites and apps are all over the internet. Here are some of the ones that have proven most popular and successful for the date seekers of the world. Bumble is one of the most popular online dating platforms, created by Tinder co-founder Whitney Wolfe and now worth over 1 billion dollars. The app is like Tinder in the sense that it is based on users swiping right for yes or left for no. The main difference is that when two people match, the woman has to send a message to the man first. Bumble created this feature hoping to inspire women to make the first move. Matches only last 24 hours on Bumble, which means that if the woman writes to the man and there is no response within 24 hours, it disappears. This was added as a way to result in less ghosting once a conversation has begun. Bumble also has a free feature where if you’ve accidentally swiped left, you can shake your phone to backtrack on your last decision. You get three backtracks at a time and each one is restored after three hours. Tinder is possibly the best-known dating app. It’s really fast to join, literally upload some photos and set your age and distance preferences and you’re good to go! Tinder is known for hook-ups so it’s hard to gauge what people’s intentions are. There is an option to pay money for premium, which features include a Tinder Passport, which means that you can swipe through matches all over the world. Rewind is another feature for those times when you swipe left too quickly. Plenty of Fish (POF) has over 150 million registered users. It is available in 11 languages and more than 20 counties and according to independent.co.uk, it claims it has more conversations than any other dating app of 2.5 million every day. Users take a chemistry test when they sign up, which is meant to lead to long lasting stable relationships. Happen shows you the singles that you have crossed paths with to within a distance of 250 miles. You create a profile through Facebook and then can link Instagram and Spotify. The people you’ve crossed paths with most recently will be at the top. The app has 50 million users around the world and operates in 50 major cities spread across 40 countries. The app also tells you how many times you’ve crossed paths with each person. The League markets itself almost exclusively to career-orientated people who have high standards and aren’t bothered swiping through matches like on Tinder and Bumble. The app gives fewer options so the more requirements you have, the less matches you’ll get. The Inner Circle aims to present you with quality and not quantity matches, which are made by interests, goals and careers. The Inner Circle offers regular events at world-class venues, exclusively for members. There isn’t waiting for people to swipe right. If you really like a person, you can write them a message.